Not everything can be improved with algorithms, so Google is soliciting your help to increase the accuracy of Maps, handwriting translation, and other key services. 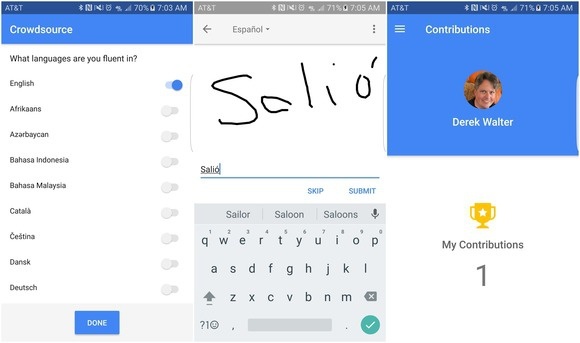 Google has a new Android app that solicits your help to improve its services like translations and Maps info. Crowdsource lets you rate translations, validate image recognition, and render a verdict on Google’s other language efforts. You start off by telling Google what langues you're fluent in, then you can choose from a batch of activities to engage with. There’s a Contributions tab that keeps track of the number of tasks you’ve completed, but unfortunately there aren’t any rewards for donating your time and talent to Google. Give Crowdsource a try if you want to offer your translation expertise. The company has been known to dangle a carrot for users. For example, the Local Guides service lets you earn free Drive storage or Opinion Rewards, which offers you Play Store credits in exchange for answering survey questions. Since there’s a tracker for your contributions, perhaps this will change down the line. 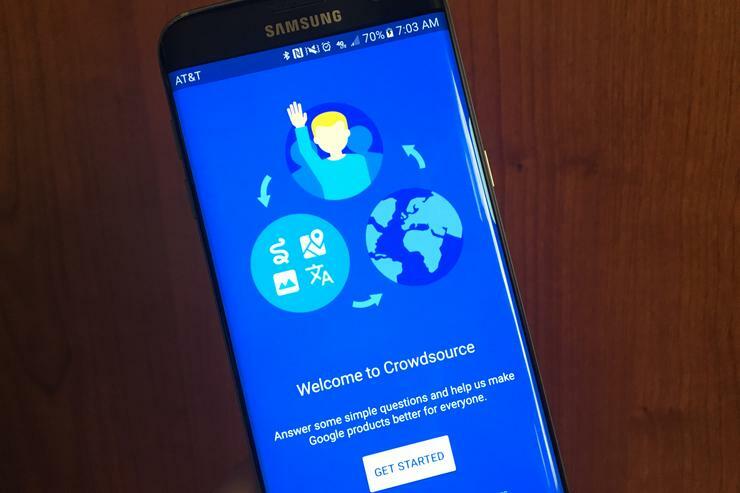 Crowdsource is available in the Play Store now. Why this matters: Google is making machine learning a major focus of its future efforts. But that still requires a human touch, since language is filled with a considerable amount of nuance and conjecture. Those are areas that algorithms don’t always do well with, so getting feedback from living people is valuable information for Google.